Tom, dont remember if it was this thread or the original GB thread but you posted that you thought you could get around the same 250kcd as I got from an XP-G2 with an XM-L2, just wanted to say thanks for motivating me to take mine back apart and put the XM back in (a U2 1D dedomed), I just did 5 readings in a row (cause I simply couldnt believe the results) and its now doing an average reading of 268k at 1m (measured at 5m) and the max reading was 273kcd! I’m gonna be going to my buddies poll barn in the next few weeks where I can measure at 15m in total darkness to see if it focuses any more at distance. This is currently the farthest throwing light I’ve personally owned (tho I’ve built a few Courui’s and resistor modded an SR91 and a TK75 for customers) and its gotten me addicted to throw (use to be a flood guy). It's almost a full 100 lumens lower OTF (~730 instead of ~830), but amps is still about the same - 2.5A or so. Might simply be the LED or combo of things - maybe they used a U2 bin before, maybe the thicker o-ring is hurting output. The tint seems to match - cool white, like a 1A. Hm, you just described my group buy Y3 exactly. Strange. Hi guys, is the first time that a buy from Gearbest. Normally how long it takes to receive the goods? 30/40 days as usual? My Y3 was ordered Sep 3, arrived Sep 22 - 19 days. Haven't had a China package arrive in over 30 days in a long time... Been as short as 10 days, more typical is 17-20. Is your glass 1/2 full or 1/2 emtpy, or is your light bright or dim? Read threw the SingFire S1 clone thread for more info. Personally the 2 gearbest orders I’ve placed have both arrived in ~20 days but other people have had much different experiences. My Y3 was ordered Sep 3, arrived Sep 22 – 19 days. Haven’t had a China package arrive in over 30 days in a long time… Been as short as 10 days, more typical is 17-20. Is your glass 1/2 full or 1/2 emtpy, or is your light bright or dim? 10 days will be a super super fast deal. Last order from China take 46 days to arrive in Italy (with custom). 17-20 day still ok. Personally the 2 gearbest orders I’ve placed have both arrived in ~20 days but other people have had much different experiences. Anybody know if is possible to change the side switch? I really don’t like it white/plastic; grey/metal will be perfect. Are the Y3s from GB showing up with minor scratches like the ones from CQG? Mine was not perfect from GB (not too bad though) - I'm thinking there may be the same issues, dunno til we hear more feedback. I'm not in a position where I can check my Y3's for battery length but can speak from experience that it is impossible to build a light that covers all battery scenarios in multi cell lights. 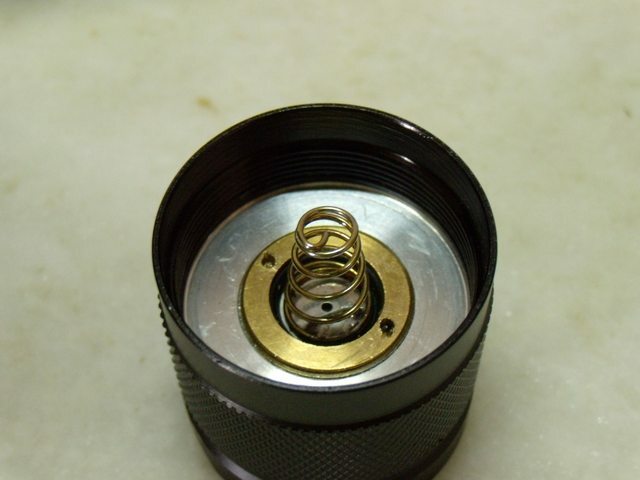 Even single cell lights can be difficult with a single spring on one end of the battery. 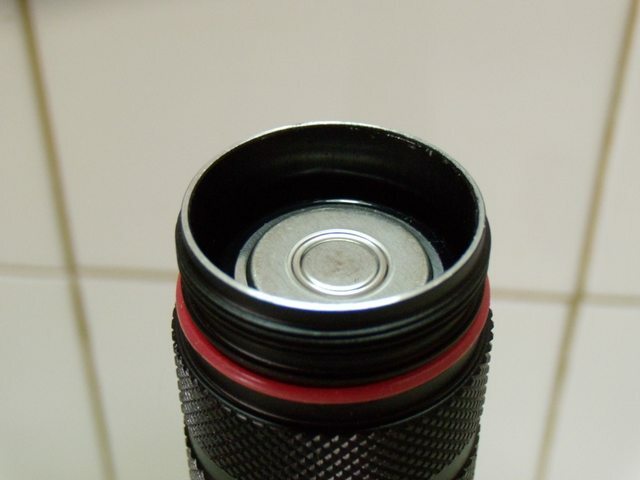 18650 batteries start at 65mm in length and can go over 71mm in length. That's 6mm for a single cell that the light must cover, 12mm for two cells etc. 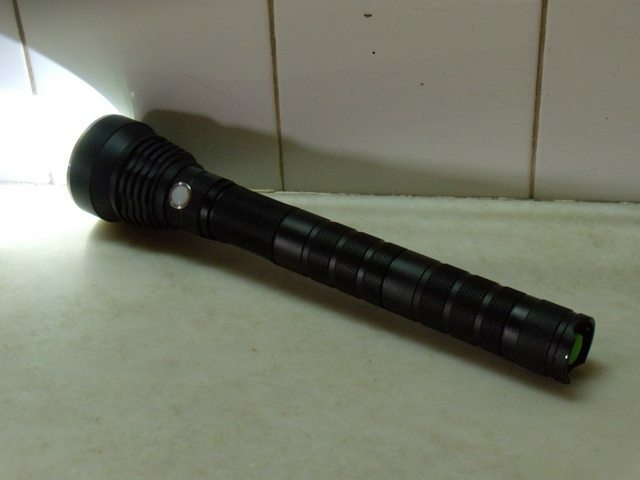 As a rule flashlight manufacturers use the shorter length to make their lights which is fine if you use short batteries but not many of us do especially where we use protected cells in multi cell lights. As some have found out this light looks like it will accommodate the shorter batteries only. HKJs web site is probably a good place to start as it has measurements for most of the popular batteries. Again -- single cell, I use KK 26700's -- longer than any 26650 protected cell around. Even the MOLI 26700 I've fit in a Y3 and used. Once you plug in an extender, different story... It's the extenders, not the single cell light. Again — single cell, I use KK 26700’s — longer than any 26650 protected cell around. Even the MOLI 26700 I’ve fit in a Y3 and used. Once you plug in an extender, different story… It’s the extenders, not the single cell light. Ordered 3 extensions. Want to use three KK26700 in the Y3. Will modify/machine the last extension to allow for extra length. If the last extension ever shows up in the mail. It’s been almost 6 weeks since I ordered. Agree Ordered 3 extensions. Want to use three KK26700 in the Y3. Will modify/machine the last extension to allow for extra length. If the last extension ever shows up in the mail. It's been almost 6 weeks since I ordered. 6 weeks is bad - close or at the PP cutoff. I'd open up a dispute within 2 days of the limit. It’s been almost 6 weeks since I ordered. 6 weeks is bad – close or at the PP cutoff. I’d open up a dispute within 2 days of the limit. The extension tubes where inside the same pack of the flashlight…So the second tracking only for they was not my. But, I’m asking if it does not run with 4C Alkalines, with the others 3 extension, so others 3/4 battery, it will run or it will blinkies? My extension tube arrived... before Yezl Y3. Damn. 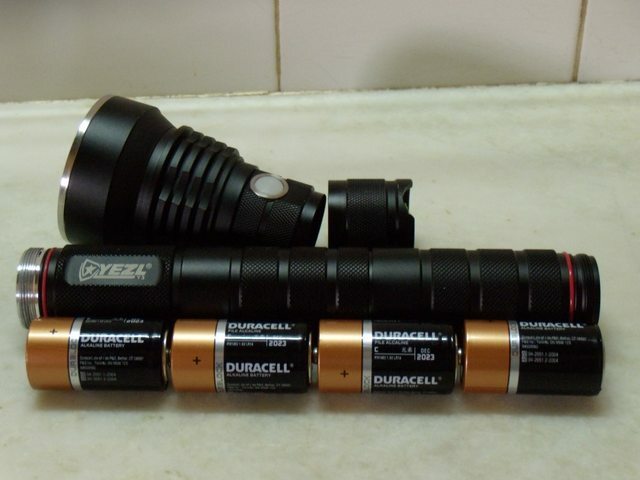 Mine from GB CNQG, with 2 extension, works fine with 4xC fresh alkalines (Duracell). I guess if you add more batteries work best, not exceeding 8xC (total). I get the blinkies with fresh 4 NiMH C (4.8 volts). It’s the low voltage 2 battery lithium warning signal. Guess I’ll have to get a total of 5 extensions and run 8 NiMH batteries or use a dummy of some type. I get the blinkies with fresh 4 NiMH C (4.8 volts). It's the low voltage 2 battery lithium warning signal. Guess I'll have to get a total of 5 extensions and run 8 NiMH batteries or use a dummy of some type. So to confirm, you’re running 2 extensions and fit 4 c cells? Yeah 4 C cells work, but you need to add in a spacer. There are about 8 mm to the edge, but spring compensates. I concur, button top Tenergy NiMH required no spacer but with 4.8v did have blinkies due to low voltage 2 cell lithium warning.